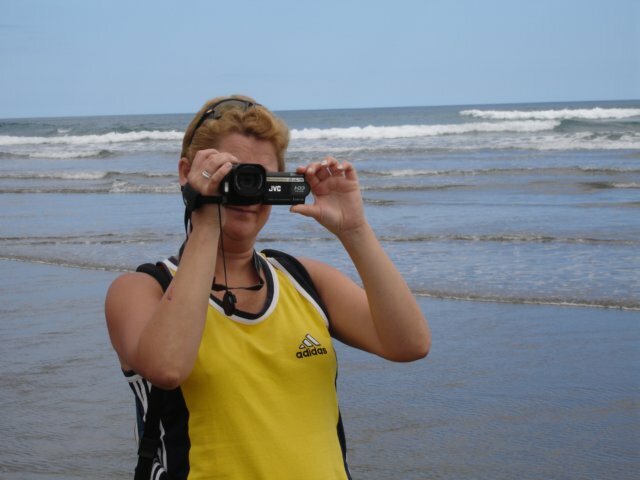 That's me filming the beach. Me and the camera's were almost grown into one piece. Couldn't resist seeing all those Xena places!!! !